We understand you have unique needs. 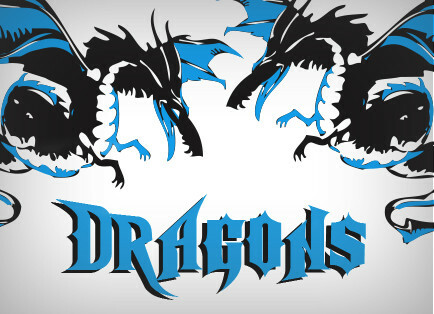 That’s why we carry a wide range of basketball goal systems. 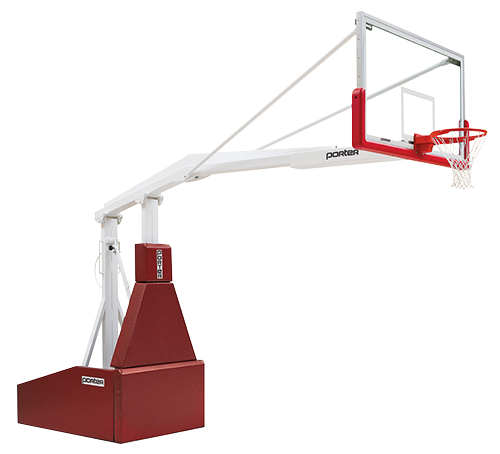 No matter what your activity requirements are, we have the basketball goal system for you. From ceiling or wall attached to portable backstops, we offer a variety of solutions that will integrate seamlessly with your facility. 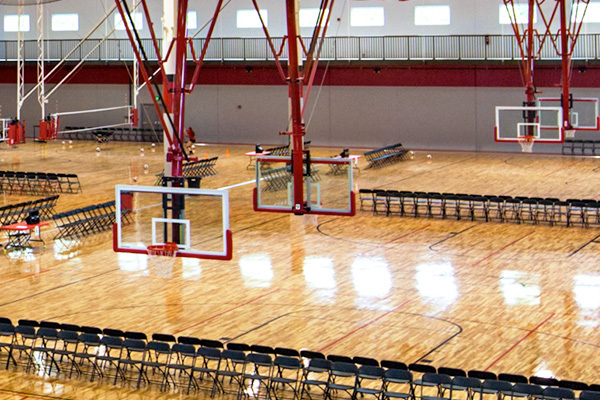 Ceiling suspended basketball goal systems offer the perfect solution for staging games and practices, while maintain an efficient use of space in your athletic facility. From stationary to forward and rear folding control systems, our experts can help you select the perfect ceiling suspended system for your application. 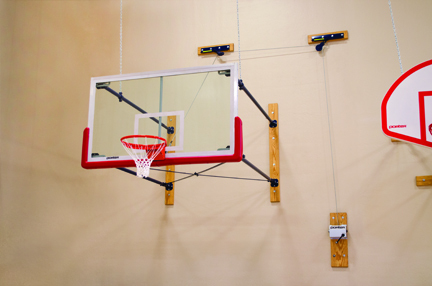 Wall mounted basketball goal systems are the perfect solution for increasing the playing area of your gymnasium. Wall mounted systems can be installed effectively and efficiently, even in tight spaces. Portable basketball goal systems are uniquely engineered to allow for competitive play in facilities that have strict space requirements or share space with other sports or activities. At Play On Courts, we offer an extensive selection of commercial grade basketball goals from Porter Athletic. 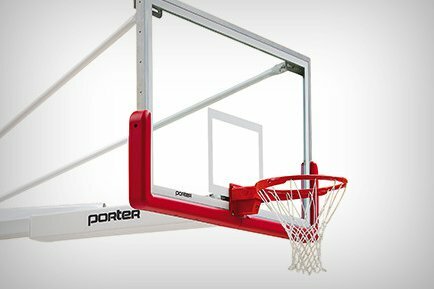 Porter basketball goal systems are designed and built to stand up to the rigors of intense competition and professional-level play. The Play On Courts staff will work with you to choose the right basketball goal system that will last for years to come.